At OMNI we provide scans and treatment options to help patients. 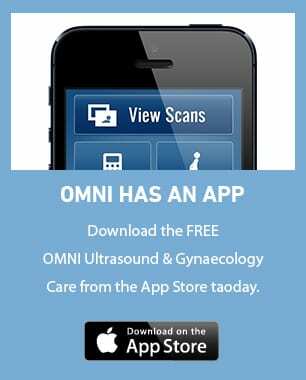 OMNI provides ultrasound assessment of women with heavy periods, bleeding between periods and absent or irregular periods. Many women are troubled by heavy periods with or without clots known as menorrhagia. In young women these symptoms are not always investigated but tend to be treated symptomatically, for example by taking the oral contraceptive pill. In some cases bleeding will be due to an underlying problem, and an ultrasound scan may be performed to exclude or diagnose some of these conditions. Probably the most common disorder leading to bleeding problems is uterine fibroids, but other problems include polyps inside the cavity of the uterus and abnormalities of the lining of the uterus itself (endometrium). It must be remembered that for most women with bleeding problems there is no serious underlying problem. Fibroids and polyps within the cavity of the uterus and polyps, known as focal lesions, can be demonstrated using Saline Infusion Sonohysterography (SIS). SIS can replace hysteroscopic (keyhole) surgery for seeing intra-cavitary focal lesions like fibroids and polyps. At our clinics in St Leonards and Penrith, OMNI can provide your Gynaecologist with the appropriate pre-operative information in order to plan any hysteroscopic (keyhole) procedure to remove them. The treatment of heavy periods varies. For many, reassurance that there is no serious underlying problem is enough. For others simple tablet treatment will be all that is needed (tranexamic acid or the combined oral contraceptive pill). More recently a type of hormonal coil called the Mirena IUS has been shown to be very effective at making periods lighter. This coil contains the hormone progesterone which acts locally to keep the lining of the womb thin. If a polyp or fibroid has been shown in the cavity of the uterus then keyhole surgery to remove them may solve the problem. For larger fibroids in the wall of the uterus conventional “open” surgery or laparoscopic (keyhole) surgery may be appropriate depending on their size and position. This operation is called myomectomy. Women with this complaint tend to be more likely to have an underlying problem than women with heavy bleeding at the time of an expected period. Typically an endometrial polyp may be present in the cavity of the uterus, and this may be demonstrated by an ultrasound scan. This is like a small “skin tag” that grows slowly within the lining of the womb (endometrium). However abnormalities of the cervix or infection may also be associated with this symptom and should be excluded. Again, SIS can provide your Gynaecologist with the appropriate pre-operative information in order to plan any hysteroscopic (keyhole) procedure to remove them.